ms. weng | Badudets Everything Nice! 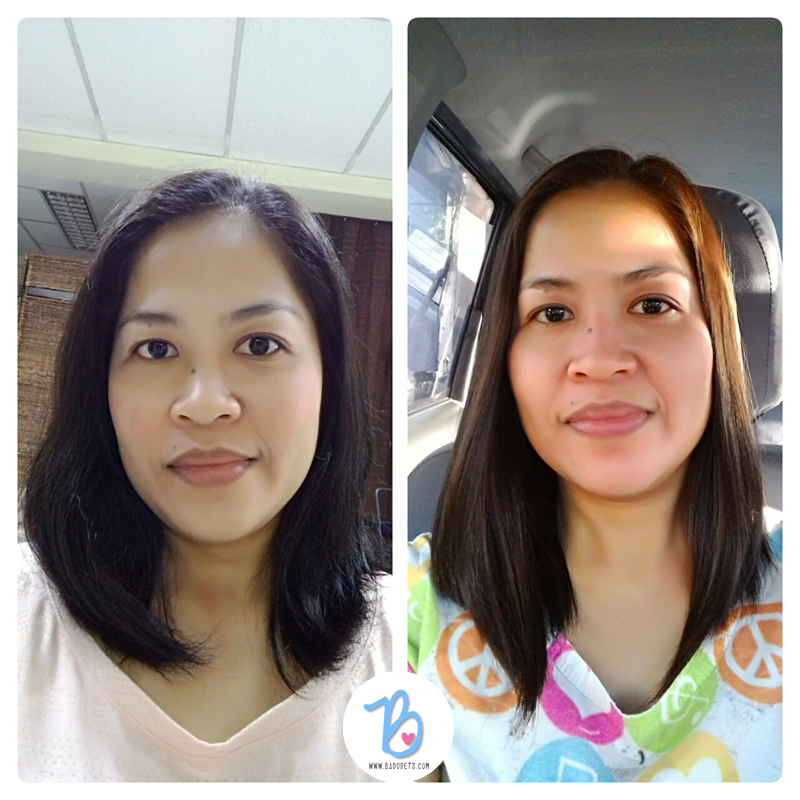 This is my third time to have my hair rebonded but my last rebond was 2010. Just thinking about the long hours I would sit inside the salon plus the 3 days of not-washing the hair are enough reason not to undergo one for 5 years. But then, my hair became so unruly and screams for a much needed TLC. I remembered Affascinante Salon which has positive reviews in Female Network’s Girltalk forum, I checked the forum again for new reviews and up until now, they still have a lot of positive feedback. I set up an appointment thru their Facebook page and they told me to come at 11 am. The timing for my rebond was perfect during the APEC summit because I can stay at home for 4 days and not worry about going out with greasy hair. I went all the way from Caloocan just to go to Vito Cruz, from Vito Cruz LRT station, go to the corner of Jollibee and ride a jeep and go down at Enrique St. Look for Royal World Mansion, landmarks are BDO and Zonetech Bar and Grill. At the salon, there were 5 stations and 3 stations were already occupied and they already started with their rebonding and keratin treatments. I was the 4th one to have my rebonding treatment that day, it surely was a busy day at the salon and it pays to really have an appointment. 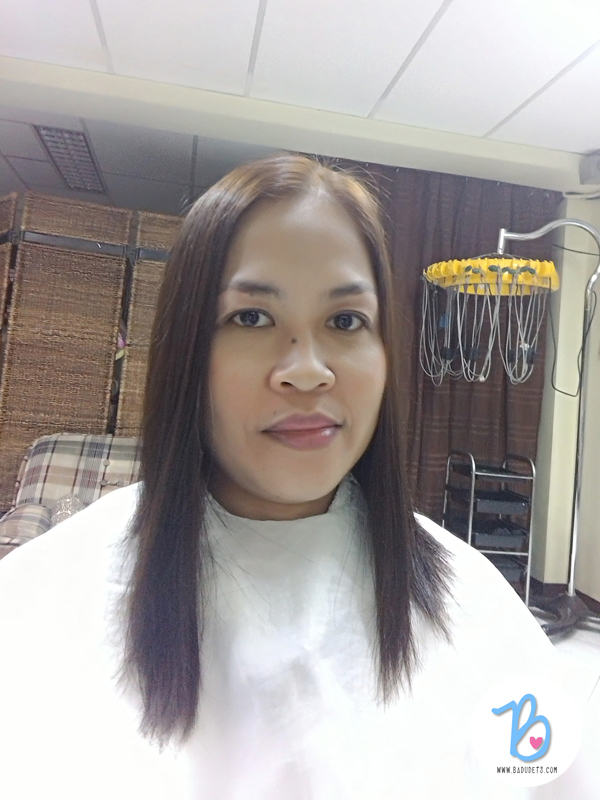 Ms. Weng, Affascinante Salon’s owner, attended to my needs and looked at my poor hair. I said I wanted a Silky Rebond because I saw it on their FB page, but then I asked her what’s the best treatment for my hair and she agreed that I have Silky Rebond. For my shoulder-length hair, she charged Php 3,200. I also asked Ms. Weng if I can have my hair colored right after my rebonding treatment since that’s what I used to before, para sabay-sabay na. I liked her hair color and wondered if it suits me, she just said, she’ll use their newest Framesi hair color. Hair color is Php 1,100 for my hair. The rebonding and hair coloring process ended at around 7 pm, ang tagaaal! This is because my hair is so thick. 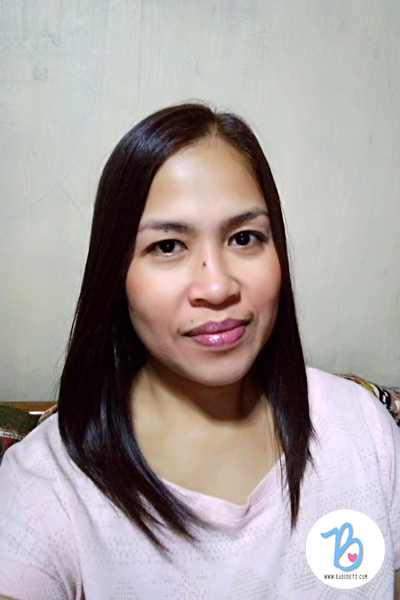 Nabigla yata si Ms. Weng ng pag-charge ng 3,200, dapat mas mahal kasi naka-ilang balik sya para kumuha ng gamot for my rebond :p What’s good is that Ms. Weng gave me a haircuit free of charge plus her other assistant cleaned up my brows by threading. Overall, I was really happy with the outcome. 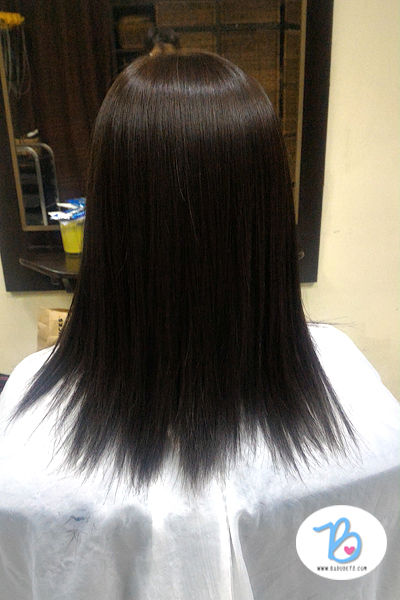 The result is not stick-straight like other results of hair rebonding. My hair’s color is Caramel Brown, she used Framesi, an Italian brand. Now I can let my hair down everyday and not worry about bad hair days! It’s been 3 weeks since I got my hair rebonded and it still looks great. All the raves in Girltalk are true!